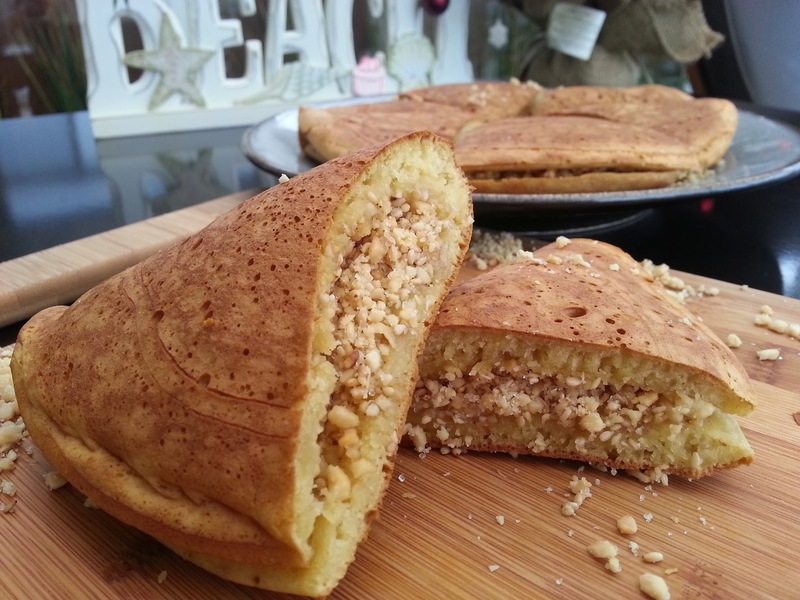 Another breakfast item that I miss from home …. 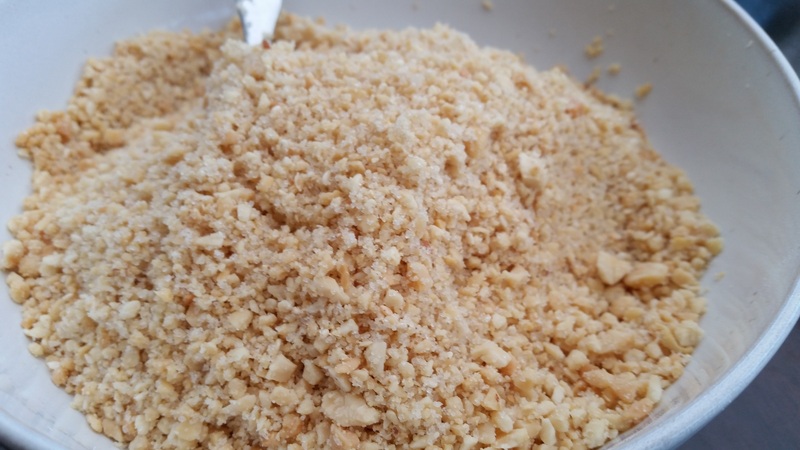 Mix peanut filling ingredients in a bowl and set aside. Starter: Sift flour. Mix starter ingredients together. Set aside for 1 hour for it to leaven. Since it is so cold here in the bay area. I leave the bowl in the oven. 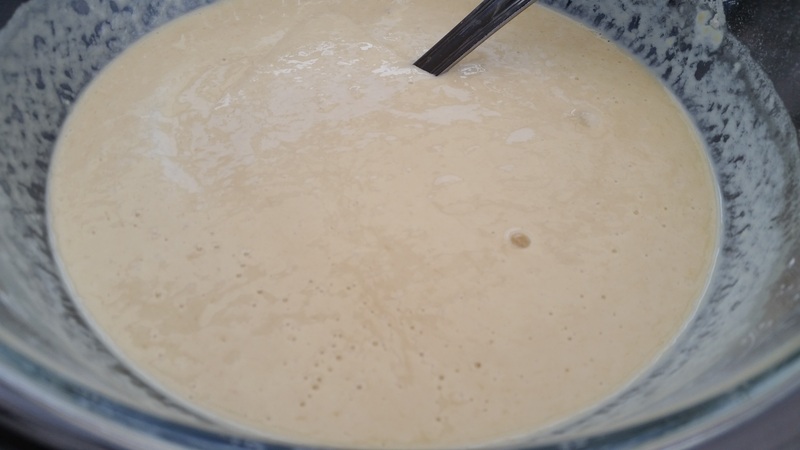 Batter: Sift bread flour and baking soda together. Add the remaining ingredients and starter and mix well. Set aside in the oven to leaven for another 50 minutes. Heat and omelette pan over medium high heat. 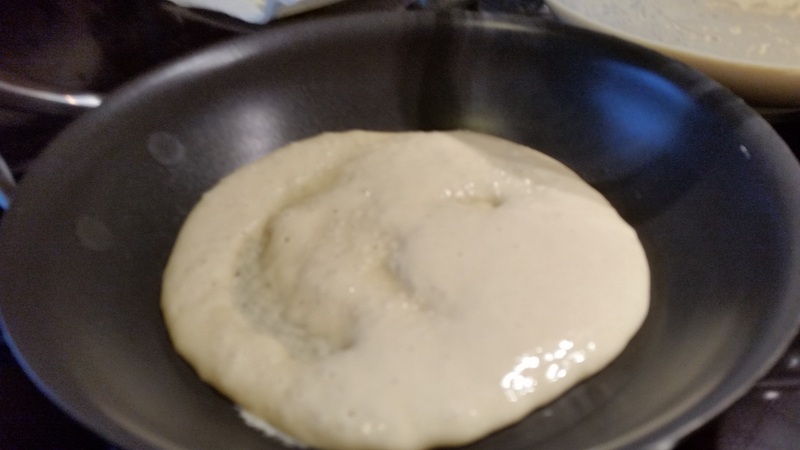 Ladle enough batter to coat the bottom of the pan, adjust thickness to personal preference. 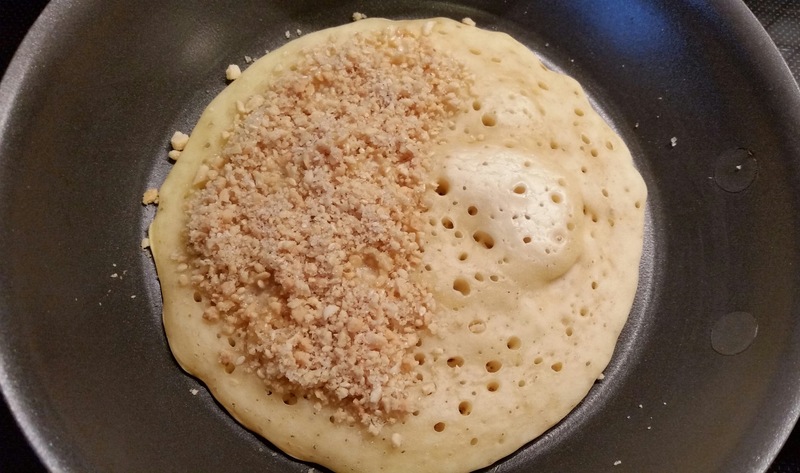 Cook until all the bubbles popped and the pancake is dry. 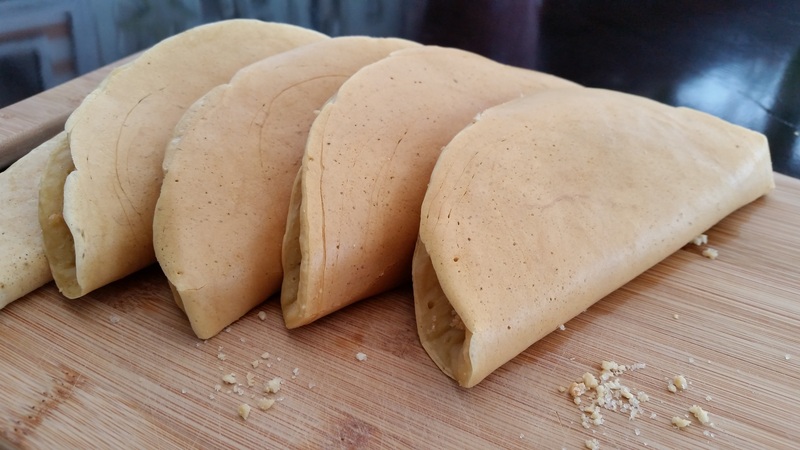 Sprinkle peanut filling on half the pancake. 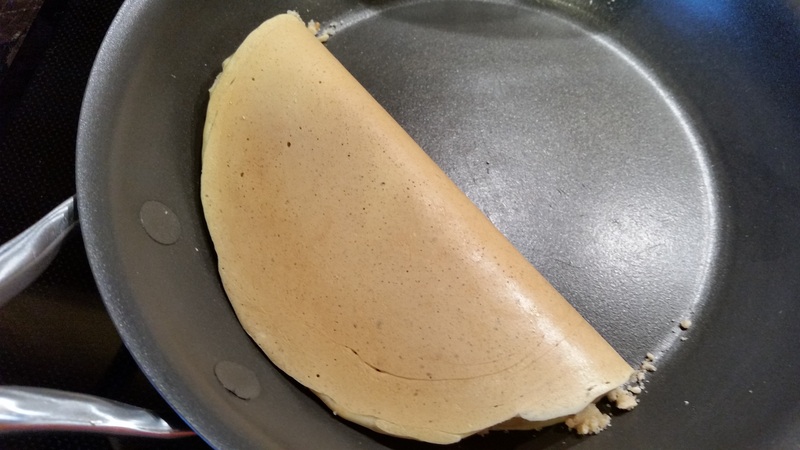 Fold the other half of the pancake over to form a semi-circle.